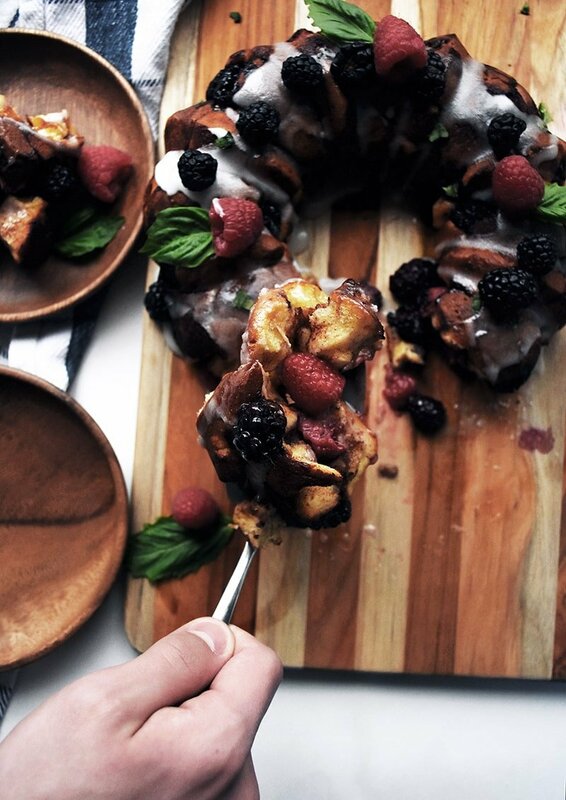 This berry monkey bread recipe is incredibly easy, and super delicious. Using cinnamon rolls, this pull apart bread goes together in a short time! 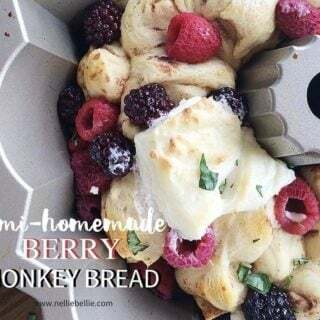 This berry monkey cinnamon roll bread recipe is incredibly easy, and super delicious. Using cinnamon rolls, this pull-apart bread goes together in a short time! You’ll never need to go back to from-scratch monkey bread once you make this quick and easy cinnamon roll monkey bread! Now, mom can get back to her favorite coffee, and know that breakfast is taken care of. 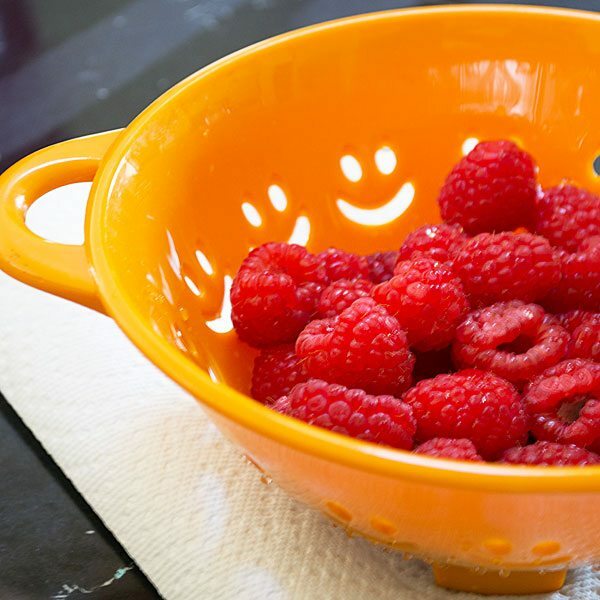 fresh berries (we like raspberries and blackberries but use your favorites! Berries are in season! And when berries are in season, we use them in everything. Okay, maybe not everything. But we use them a lot. Because we know we aren’t going to be willing to pay the big bucks for them when winter arrives. And since winter here in Minnesota lasts about 9 months…we have a very limited time to enjoy the low prices of berries. Although to be honest, sometimes even in the middle of winter we might splurge a little, just so we can make this cinnamon roll monkey bread. It’s SO good, that my kids will ask about it in February. And I’ll spend a little more to make it. bake according to the cinnamon roll directions. I took some cans of purchased cinnamon rolls, beautiful fresh Driscoll’s berries, and a bundt pan, and created this tasty dish with less than 5 minutes of prep. I’m sure that very little beats the smell and taste of homemade cinnamon rolls but, these surely do come close! This bread has the same freshness from the berries, that lovely drizzle of sweet icing (see my note in the recipe for amping up the icing! 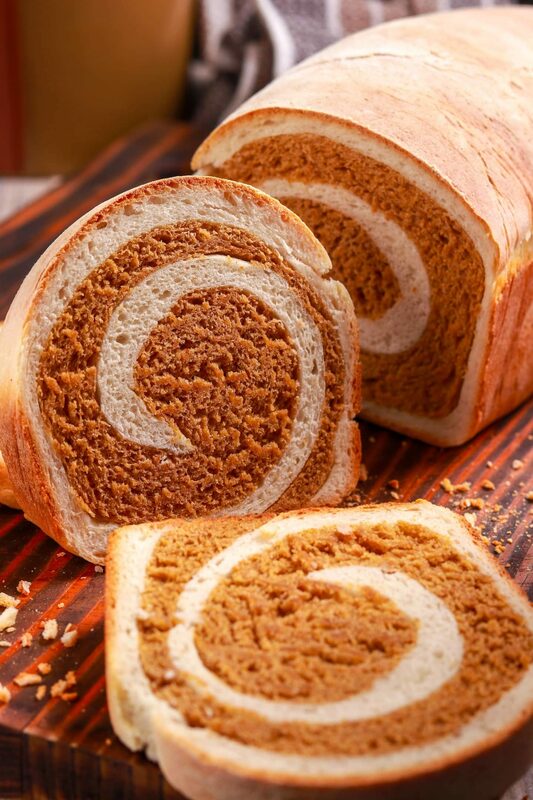 ), and comforting sweet bread. It’s a winner! Berry monkey bread is my go-to when people come over unexpectedly (or even if they’re expected) in the morning. The ingredients are easy to keep on hand, and often I have some version of them already available. I have found that frozen berries thawed to room temperature, while not as good as fresh, are a good substitute and much easier to keep on hand! You can also use strawberries or a different fruit if you find it works best for you, as blueberries and raspberries can be difficult to find in certain places. You can also make this recipe from scratch, if you so desire and more motivated than I am, by making homemade cinnamon rolls (we love this homemade cinnamon roll recipe from Lizzy T) in place of the packaged ones. If you do this please let us know, I am interested in the difference it might make! I mean, if this dish is delicious with pre-made cinnamon rolls I can only imagine how great they’ll be with homemade. Why do they call it Monkey bread? It’s called monkey bread because of the way it’s eaten. The consumer of the bread picks at the bread similar to how a monkey grooms another monkey. Where does monkey bread come from? Monkey bread came from California in the 1940s. It was originally served as a savory dish and was popular because it didn’t need utensils to serve. In the 70s the dough began being covered in sweet substances like honey or brown sugar and became what we think of today. Yes! We recommend storing it in a fridge if you can’t eat it all and reheating it in the oven the next day. Microwaves will do as well, but we think the taste and texture is best preserved when reheated in an oven. Sprinkle half the berries on top. If desired, press dollups of cream cheese into the dough and berries and sprinkle with fresh basil. Bake at 400 degrees for about 20 minutes. Check on it to make sure it doesn't burn. Let it rest briefly, then turn it over and out. Drizzle with the orange spread included in the orange roll cans. Sometimes I use an additional 3 oz of the cream cheese and beat it in with the orange sauce that comes with the rolls to create a yummy orange cream cheese icing. Delicious! Click here for video tutorial. Other fast and easy bread recipes that are must try’s are Parmesan Ranch Pull-Apart bread and Cinnamon Rolls baked in Oranges. If you have never tried your hand at old-fashioned bread making I recommend taking an afternoon with your family and giving it a try. I have my basic bread recipe with tips and tricks for beginners found HERE. There is something so satisfying about baking a loaf of bread. And the smell when it bakes? Amazing! Let’s face it, folks, most of us aren’t going to have time to bake bread often. 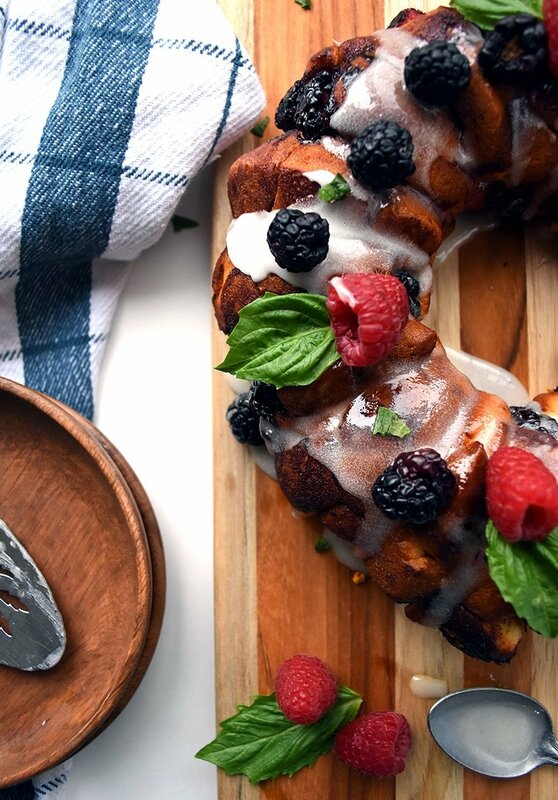 For us, this Berry Monkey bread is perfect! Semi-homemade, easy, with fresh berries to look fancy, and utterly delicious! You’ll be making this for brunch again and again. There is no need to force yourself to make something long and complicated if you don’t want to. And if you do want to, go for it! This is another family favorite. 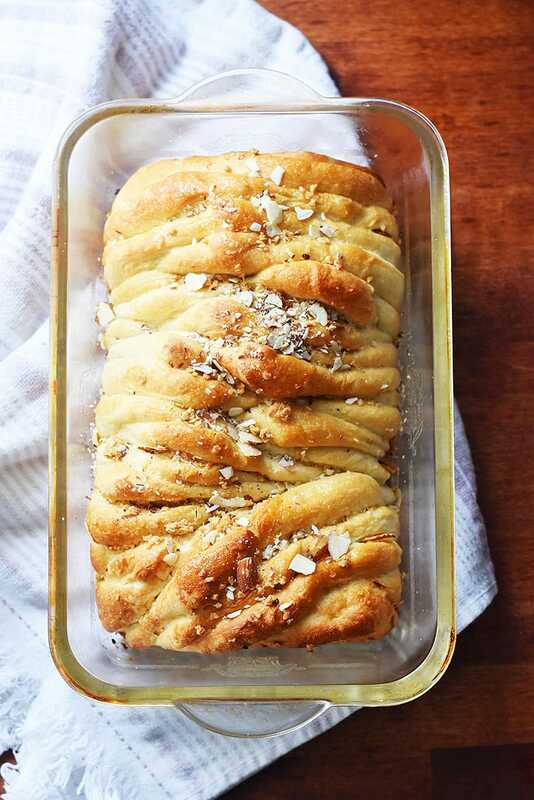 The almond pull-apart bread recipe is simple and it produces a delicious buttery bread with crispy sides and a soft center. The recipe itself is very similar to this one in that it uses pre-made bread, but of course you can make it deliciously homemade. Again, this recipe is pretty similar to the one you’re looking at now except it uses biscuits. It’s just three ingredients: ranch, parmesan, and refrigerator biscuits. 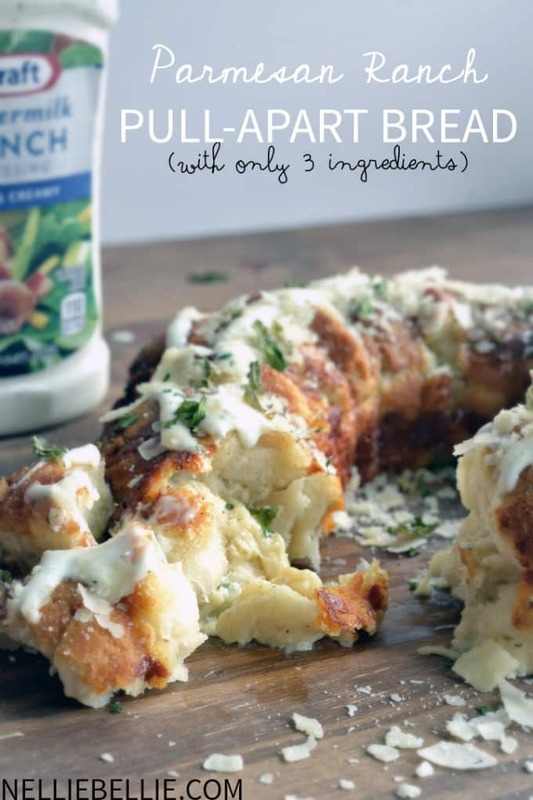 It’s outrageously simple, tasty, and a great savory version of a pull apart bread! This marbled rye bread is the recipe you need if you love the classics. This recipe is not as simple as others we have, but makes a beautiful rye bread. 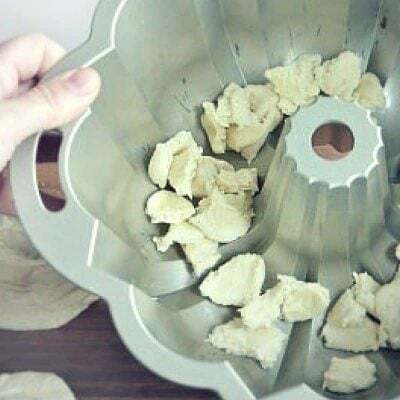 It’s still simpler than most bread recipes, just not as simple as pulling some dough out of a package. But I don’t know, maybe you love homemade recipes so much this is exactly what you need! One of my favorite recipes right here. Turns out great each time!